Whether it’s bubble baths or before bedtime snuggles, create lasting memories for a healthy baby development with our extensive range of baby oil products. 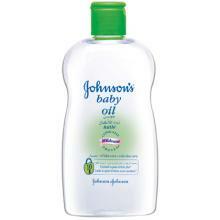 JOHNSON’S® baby has developed a range of baby oils rich in natural extracts! JOHNSON’S® baby oils moisturize, soften your baby’s skin and help protect his soft skin from dryness. JOHNSON’S® takes extra care of your baby’s skin with pure mineral oil that forms a silky barrier to help prevent any excess moisture loss. 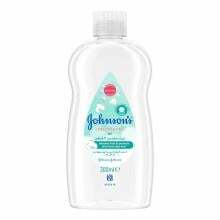 Dermatologist and allergy-tested, JOHNSON’S® baby oil is a great addition to your baby massage routine that will help you bond with your newborn baby. 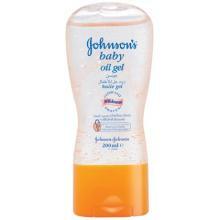 JOHNSON’S® baby oil is easily absorbed and clinically proven as soothing and gentle on your baby’s delicate skin. JOHNSON’S® Baby Oil is key to your baby’s skincare.